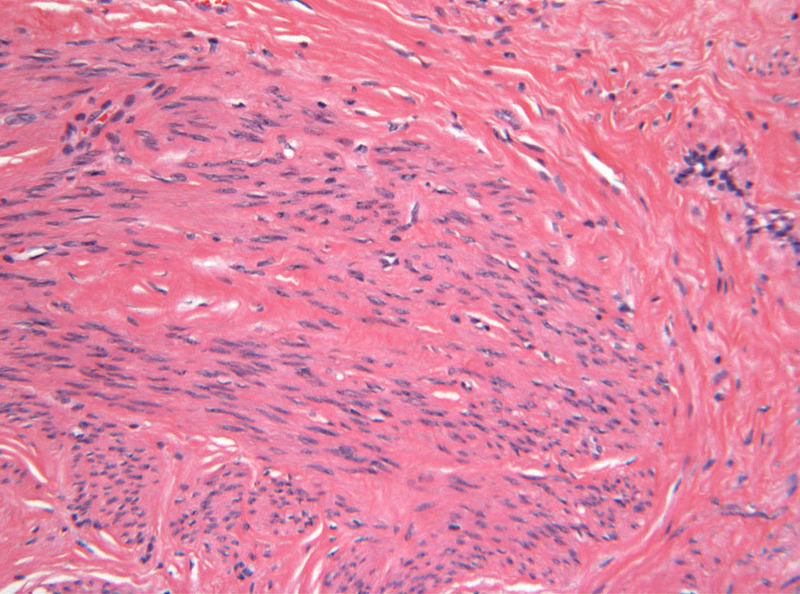 This pathway provides guidance on the imaging of adult female patients with unexplained premenopausal bleeding. 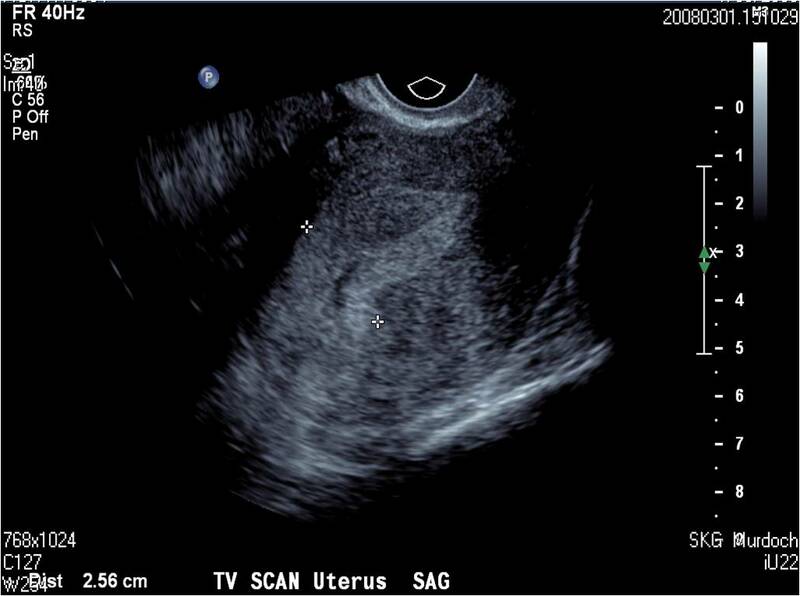 Image 1a (Transvaginal Ultrasound): Image demonstrating a thickened hyperechoic endometrium. 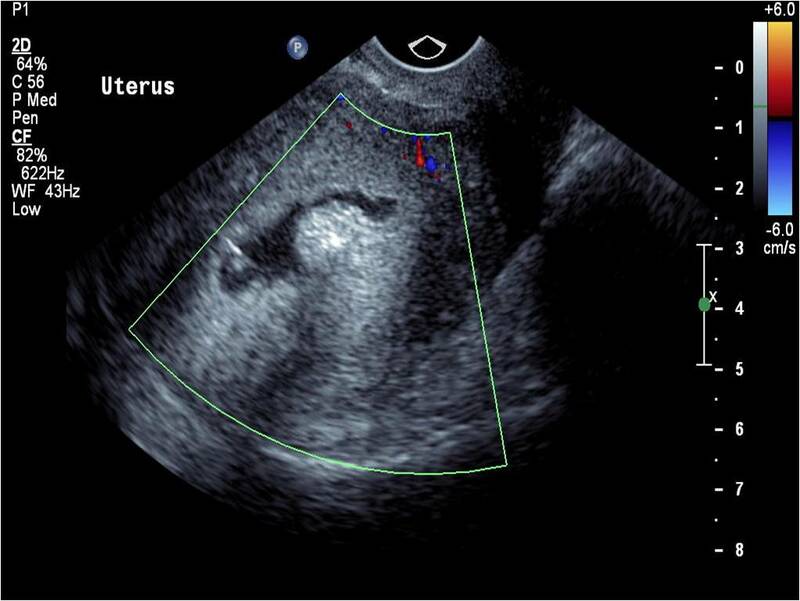 Image 1b (Saline Infusion Sonography): Image confirming that the endometrial thickening is due to a submucosal fibroid. 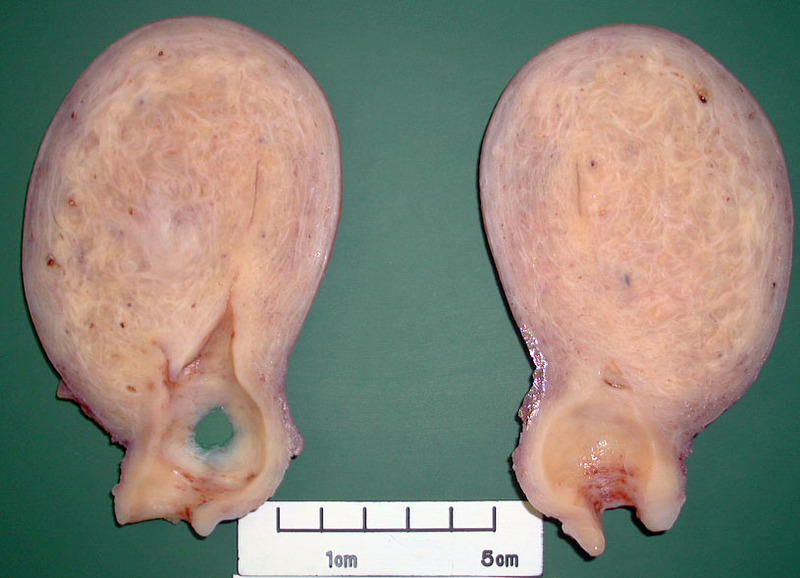 Image 2a: Hysterectomy showing expansion of the myometrium by a single intramural fibroid (leiomyoma) demonstrating the typical well circumscribed appearance with a white whorled cut surface. 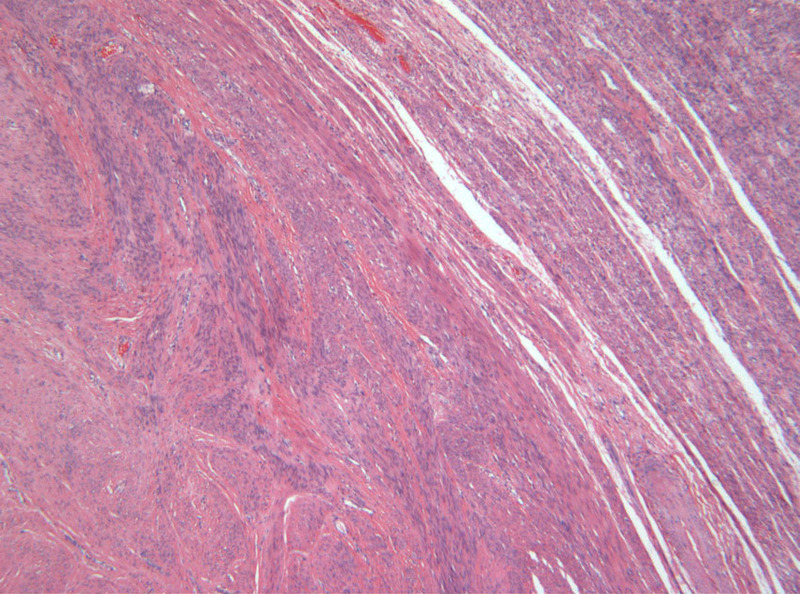 2b Image 2b (H&E, x2.5) and 2c (H&E, x10): Histological sections showing a uterine leiomyoma with pushing margins and composed of sweeping and intercepting fascicles of uniform spindled smooth muscle cells.